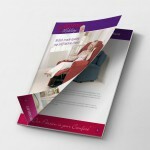 Gordon Jeffrey Design for Print & Web – They go hand in hand and my aim is to deliver on time and with quality to match. 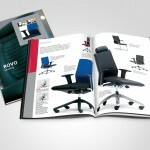 From leaflets to catalogues, brochures to websites with a Content Management System. I create logos, leaflets, corporate identity & advertisements – delivering a sound professional service. Visuals to Artwork – Print Design Creation. 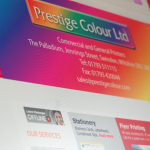 I don’t just design for print – I can source your print, get it printed & deliver it to you within a tight deadline. This medium has captured my imagination for most of the work I produce. See what I can do for you to enhance your company awarenes with a content management system website or HTML. I can design you a professional site and give your company a stunning branding to match. Experienced in design, layout, artwork for print, including press adverts, catalogues, magazines, brochures, leaflets, newsletters, corporate identity, banners, posters & websites. Highly developed, all round graphic designer with a creative edge, understanding of client budget and timescale. Skilled and experienced in website development and layout. Mac and PC literate – proficient in InDesign, Quark XPress, Photoshop, Illustrator, Acrobat, Flash & Dreamweaver. Proficient in WordPress, CMS (Content Management System), SEO (Search Engine Optimisation), social networking, email marketing, customer liaison/account handling; In association with WSI – a global internet consultancy and leading edge web solution and internet marketing provider.